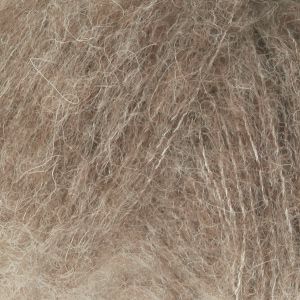 Super soft DROPS Alpaca Silk has a sophisticated shade card ranging from soft beige and gray hues, to gorgeous reds and purples. The yarn’s feather light and surprisingly warm features make it suitable for both small and large garments, and it can be knitted relatively fast on larger needles. DROPS Alpaca Silk can be used as an effect yarn when worked together with other yarns for lovely soft results!